Dizzy Dean is known today as the outstanding Cardinals pitcher from the 30’s, but also became popular due to his unique, homespun personality. 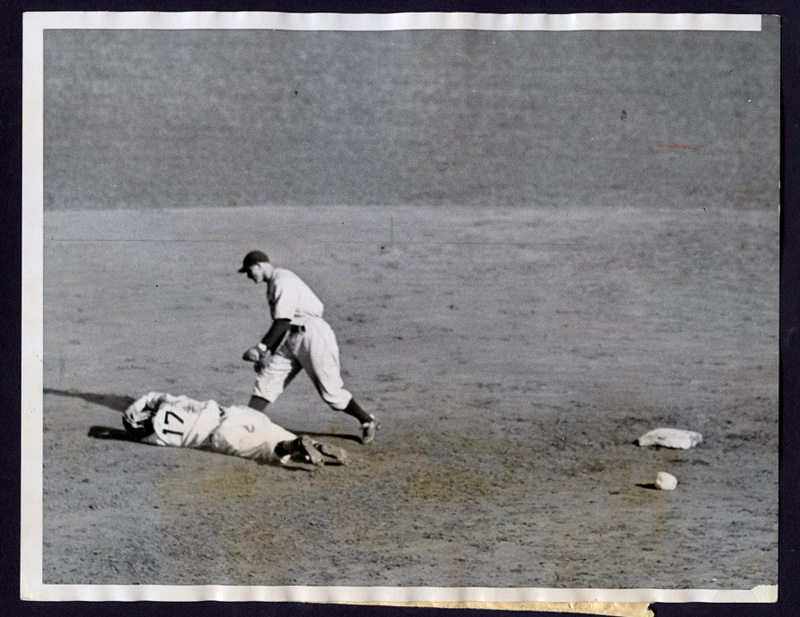 He really didn’t rise to fame until the 1934 season, where he won 30 games for the NL champs – but in using his “head” in the 1934 World Series, he became a baseball folk hero for all time. 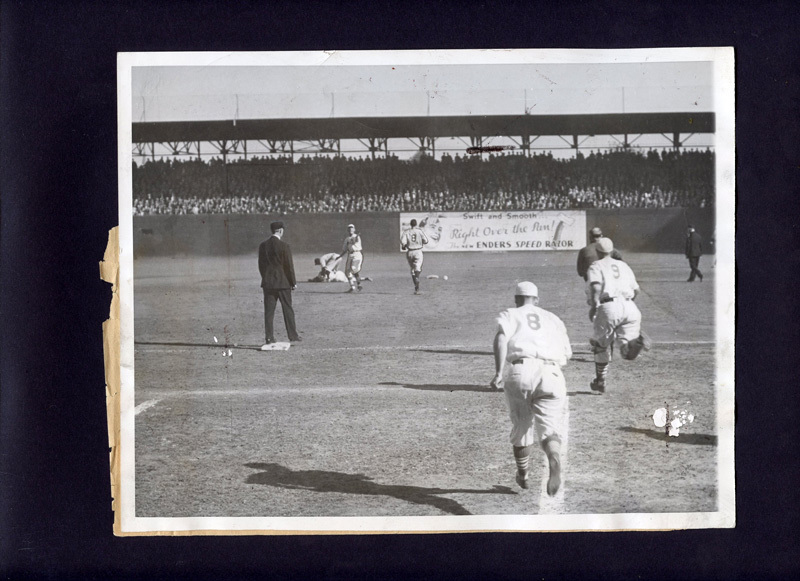 Even most casual baseball fans have heard of the supposed headline after St. Louis Cardinals ace Dizzy Dean got hit on the head by a thrown ball in Game 4 of the 1934 World Series, in Sportsman’s Park in St. Louis – “X-Rays Of His Head Revealed Nothing”. Most sources state it came from the St. Louis Post-Dispatch the next day, while there seems to be nothing to indicate that that is so. Also, a recent published post about Dean by the Post-Dispatch alluded to another paper entirely, and not their own. In any event, it’s part of the legend of the story, which has grown a little hazy with time, especially due to the fact that there is very little in the way of photographs of the incident that exist, or at least are not readily available. The one above, which appears to be the closest shot known, seemed to be the only one publicly available, until recently. 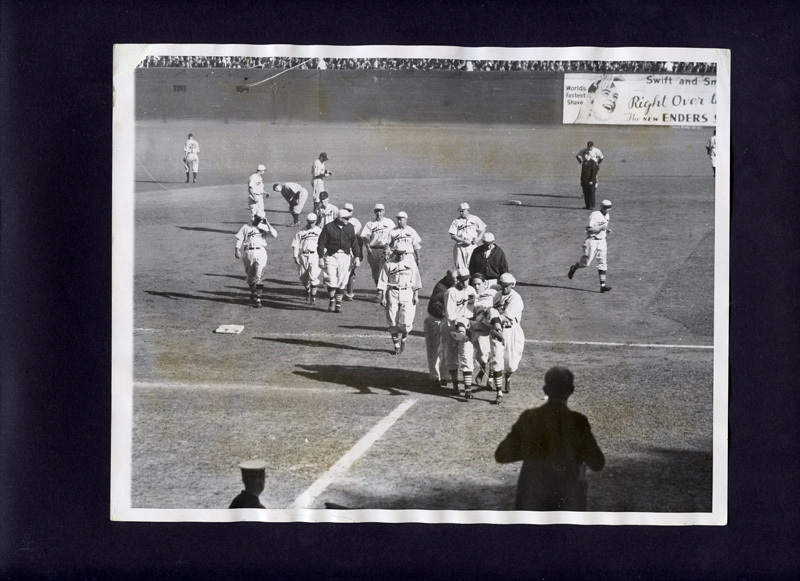 Dizzy would not return to the World Series until 1938 with the Cubs, by then hampered by injury, and the Cardinals themselves wouldn’t return until the 1940’s – but the “Gashouse Gang” of the 1934 World Series, along with Dizzy Dean, will always have a unique place in the annals of baseball lore.